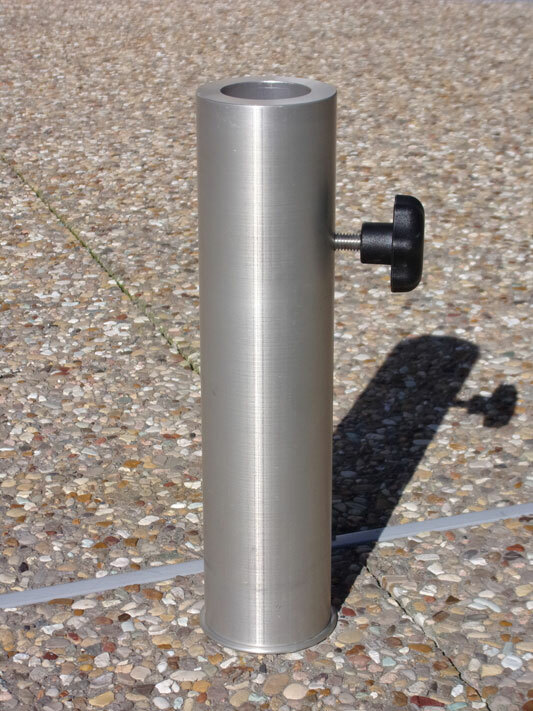 The wind resistant in-ground umbrella stand you’ve been waiting for! No painting, no lugging, no tripping, and no tipping! with our in-ground umbrella stand! If we wouldn’t have it in our house, you shouldn’t have it in yours. Our products are high-quality, easy-to-use, and secure. I just wanted to let you know that we are so pleased with our new in-ground umbrella stands! Before we had them, our umbrellas would end up in our pool every time there was any wind! We don’t worry about that anymore! Also, love that they are so easy to set up and to take them down. Really glad we have them! Weatherdeck Patio Umbrella Stand’s patent pending in-ground umbrella support system replaces the traditional above ground pool/patio umbrella bases. Designed for permanent installation in concrete and made of Anodized Aluminum, our in-ground umbrella support system is exceptionally strong and durable and offers excellent wind resistance.